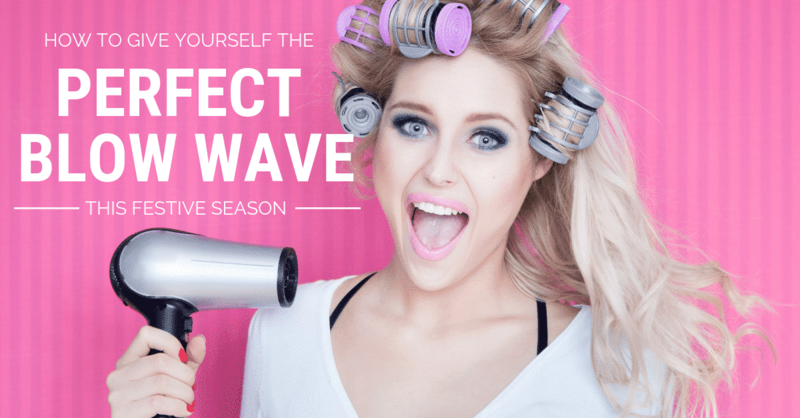 Nothing compares to a professional blow wave. All that time spent training and practicing really does make perfect! But, what if you want to give yourself a gorgeous blow wave at home? The festive season is upon us, which means you’ve probably got Christmas parties and celebrations galore to attend. Each of which deserves your best hair-do: that all elusive perfect blow wave. 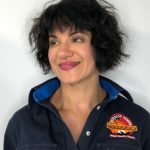 The team at Delilah Hair Studio are famous for our blow waves—people travel from all over Melbourne just to have them done. 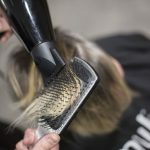 Luckily, we got the team together so they can pass on all the tricks of the trade and give you the knowledge to create your dream blow wave at home. Ionic: If your hair is frizzy, thick or difficult to dry, an ionic hairdryer will suit you. They shoot out negative ions which react with the positively-charged water ions in your hair for a more effective dry. Ceramic, Porcelain and Infrared: These types of hairdryers are particularly useful for dry, damaged and fine hair. But really, regardless of your hair type, you can’t go wrong with one of these beauties. 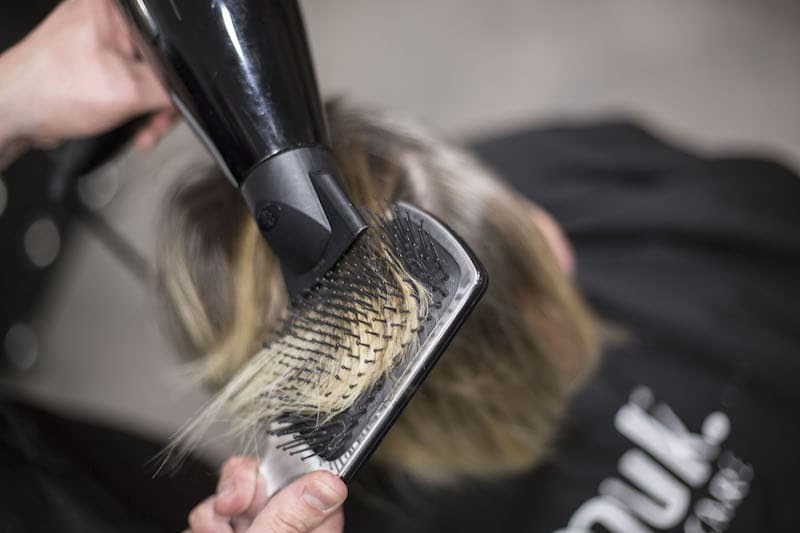 Titanium: If you have thick, voluminous hair you’ll love a titanium dryer’s ability to distribute heat evenly. If you need to do a lot of hand work to blow dry your hair, make sure you go for a light option because they can start to feel pretty heavy after a while. You also want to check that the wattage is somewhere between 1800 and 2000. Once you’ve semi-dried your hair, you should part it into several sections. If you have thick hair, this step is vital. It will allow you to dry your hair without using or apply too much damaging heat. Begin with a horizontal part along the back of your hair and fasten the top section as you go. Dry the bottom layer first until your whole head is dry. You need to work with the heat to get that beautiful blow dry bounce. Make sure you use heat protection spray to protect your hair from damage. Use the nozzle to focus the heat and direction, and don’t be afraid to use a large radial brush to finish off. Take small sections of the hair and layer on the top end of the brush, then follow down the direction of the brush as you pull down towards the end of the hair. 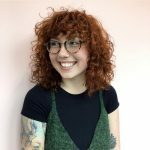 If you have curly hair, scrunch and hold your hair with your hands—a brush is likely to create that dreaded frizziness. If you want volume, you can follow your Grandma’s lead and bust out the Velcro rollers. Separate individual section and place the roller at the roots underneath the hair. Then just pull the roller along the hair and roll it back under itself to the scalp, fasten the roller and use medium hold hairspray to secure them. Alternatively, you can use your hair straightener to create easy, breezy curls. To create volume at the front of your head, blow the front section forward and then back. Now everything is prepped and dried, it’s time for the finishing touches. You can tweak your final look as much as you like. If you used rollers, remove them and give your hair a little shake. Don’t use your fingers or you can create frizz. Position your hair around your shoulders to frame your face, add one last spritz of spray to set everything in place. For an even more perfect frame, tuck your hair around your ears before pulling the hair forward. This will create a frame with plenty of movement and texture. To make sure you devote the time and attention to the process that a good blow wave needs, put on your favourite album. A good blow wave is like meditation, so get in the right frame of mind and enjoy every last minute. Next tip? Pour a glass of wine and have a little reward sip as you make it through each section. By the time the glass is finished, your hair will be too, and it’s time to hit that Christmas party you’ve been waiting for all year. Use these tips, and you’ll create a runway-ready blow wave, without even leaving your house.